3704 Country Club Dr #B, Birmingham, AL.| MLS# 833032 | Richard Jacks UABLIVING.com 205-910-2297 | Birmingham AL Real Estate | Contact us to request more information about our Homes for Sale in the Birmingham AL area. 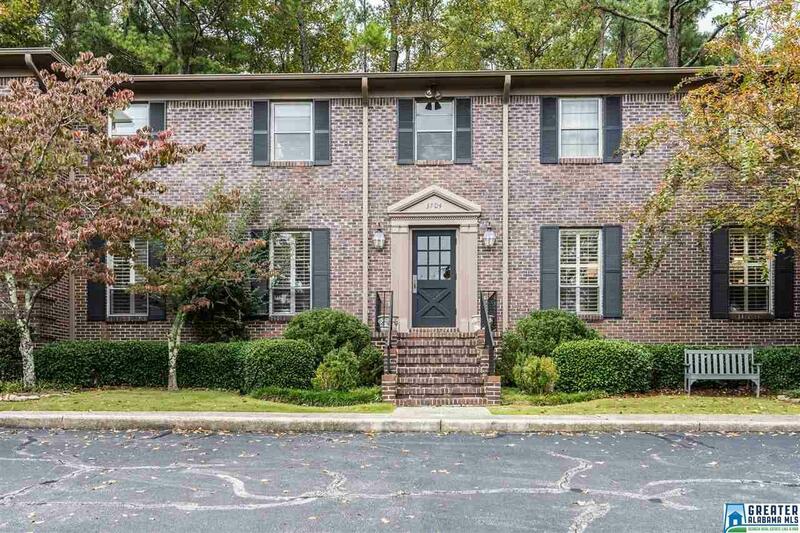 Hurry - this Lenox Condominium is thoroughly & beautifully updated, & it has an extra room! Extra room is currently used as a den but could be a 3rd BR, & it has custom built-in cabinets & bookcases that provide extensive storage for books, TV, photos, media & games. Main-level condo has 2 large BRs with excellent closet space, 2 BAs done in travertine, spacious living room, formal dining room & a gorgeous kitchen with granite countertops, a tile backsplash, a wonderful built-in desk area & GE Profile stainless steel appliances! Other features include immaculate hardwood floors, crown molding, plantation shutters, laundry closet (washer/dryer set to remain) & a 10&apos; x 12&apos; basement storage unit. The grounds are lush & beautiful, perfect for off-street strolls in a dog-friendly community, & the back door opens to an attractive patio area. It is in a highly desirable location - walking distance to English Village and only a quick drive to downtown, Highland Park, Crestline, restaurarants! Driving Directions: Montclair Rd. Turn Into Lenox Across From Rugby/Soccer Field.